SITUATED ON ARGUABLY ONE OF THE MOST DESIRABLE STREETS IN THE HIGH HEATON AREA, THIS WELL APPOINTED 3 BEDROOM SEMI DETACHED FAMILY HOME. The property is ideally situated for access to a wealth of amenities including Paddy Freemans Park, The Freeman Hospital and Cragside Primary School. 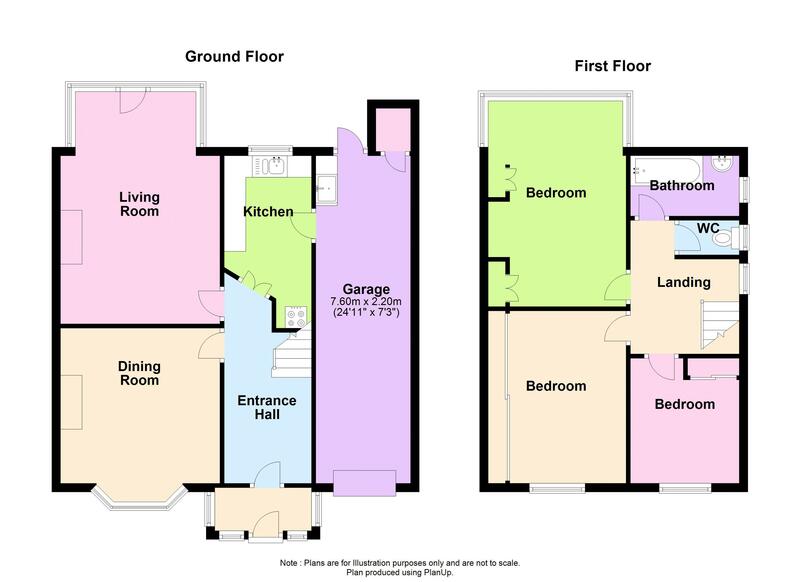 The internal accommodation comprises: entrance porch, entrance hall, lounge, dining room and kitchen. To the first floor there are 3 bedrooms, a bathroom and a separate WC. Externally there are gardens to the front and rear, a driveway to the front and a good sized attached garage. Double glazed bay window to the front, feature fireplace with fitted gas fire, alcoves, telephone point, television point, coving to ceiling, ceiling rose, carpet and radiator. Double glazed bay window to the rear, marble fireplace with fitted gas fire, coving to ceiling, ceiling rose, carpet, double radiator and a double glazed door to the rear. Fitted with a range of wall and base units, work surfaces, single drainer sink unit, part tiled walls, combination boiler, door to the garage and a double glazed window to the rear. Double glazed window to the side, access to the roof space, picture rail and carpet. Double glazed bay window to the rear, fitted wardrobe, fitted window seat, telephone point, carpet and a double radiator. Double glazed window to the front, fitted wardrobes with mirror fronted sliding doors, carpet and radiator. Double glazed window to the front, built in wardrobes with mirror fronted sliding doors, carpet and radiator. White 2 piece suite comprising a paneled bath with Rainfall shower over, wash hand basin, LED spotlights, heated towel rail and a double glazed frosted window to the side. Low level wc, tiled walls and a double glazed frosted window to the side. Laid mainly to lawn with a paved area, flower, tree and shrub borders and fenced boundaries.